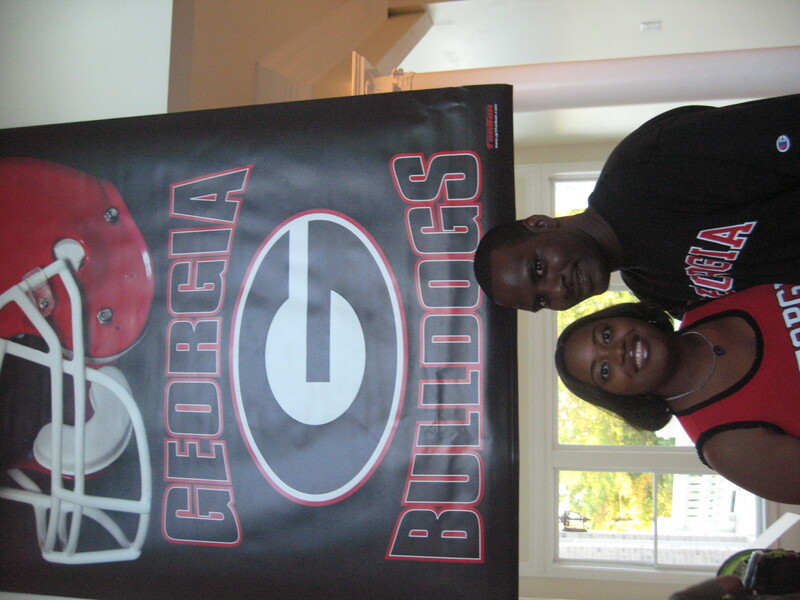 Charnelle and Antonio met at the bookstore at UGA. 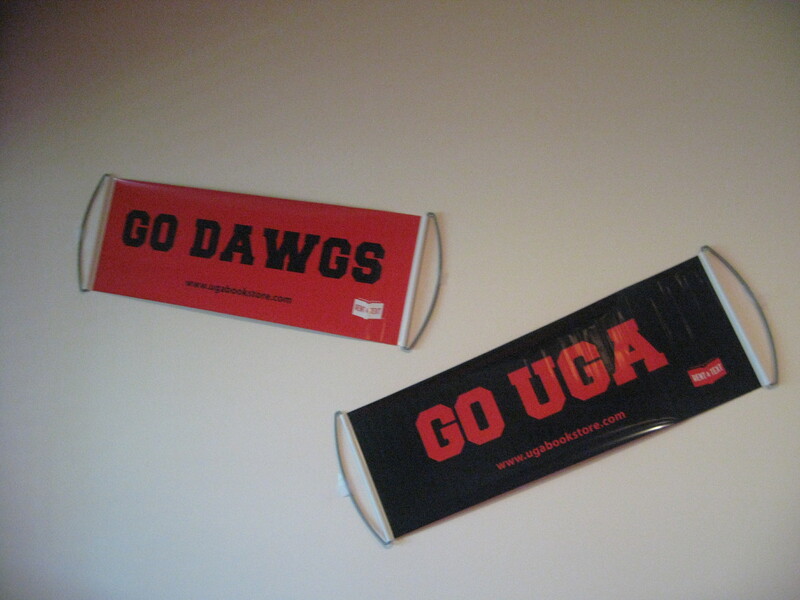 They both have a great love for the Bulldogs so we felt that UGA Game Time would be the perfect theme for their wedding shower. We kicked off the fun by designing invitations in the form of a ticket. 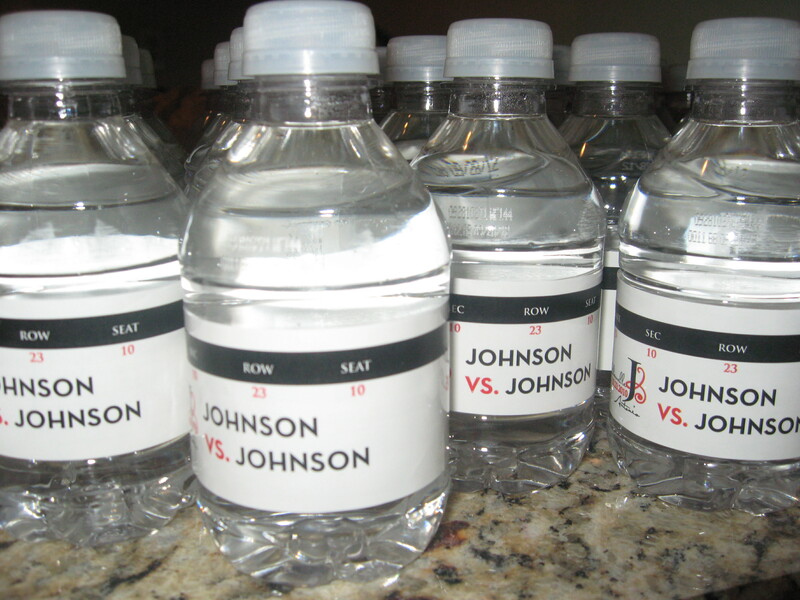 At the shower, we designed custom labels for the bottled water. Everyone endured four quarters of fun and games and we had a great time creating the perfect game time shower for Charnelle and Antonio. I love this concept! You ladies knock it out of the ballpark everytime!